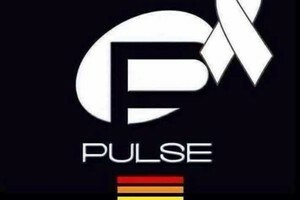 The Arizona Grantmakers Forum team is deeply saddened by the horrific events at the Pulse nightclub in Orlando, Florida, where a gunman took the lives of 49 people and injured 53 others. Our hearts are with the victims, survivors and their families. We also extend our support to our colleagues at Florida Philanthropic Network as they support the Florida philanthropic community at this time. Among AGF’s core values are diversity & inclusion, and with that, we stand in solidarity with the LGBTQ community and advocates who are working to recover from this tragedy. Those interested in supporting victims and their families may want to consider the Pulse Victims Fund set up by Equality Florida. You also may want to look into the OneOrlando Fund established by the city of Orlando. For funders concerned about this tragedy and how best to respond, please join the Forum of Regional Associations of Grantmakers, AGF’s national network, for a teleconference on June 22, 8-9 a.m. MST. The teleconference is co-hosted by the Forum of Regional Associations of Grantmakers, Funders for LGBTQ Issues, Change Philanthropy, AAPIP, ABFE and Hispanics in Philanthropy. On the call you will receive the latest updates from Florida’s philanthropic community to learn about the current needs, how local philanthropy is responding and the type of help that is needed now and in future; share some lessons learned by funders from other mass shootings; and explore how philanthropy can play a role now and down the road. Sign up for the teleconference here. This will be the first of three teleconferences over the coming weeks. In a second teleconference, you will hear from community groups working on the front lines in Orlando. The third teleconference will focus on longer-term needs and responses.If you are taking action to help Orlando, please let us know. We encourage you to reach out to us with questions, share your responses and suggestions for how AGF can support you as you move forward. This entry was posted in Home Page Feature on June 17, 2016 by Kim Garbacz.